I didn't sleep in an air-conditioned bedroom when I was a kid. It was considered a luxury at that time and since we had no aircon unit in our home, I grew up being used to sleeping with a fan beside me and the wind blowing in my face. Fast forward to decades later, times have changed and it almost feels like every house has aircon because our weather is just so unbearably hot and humid. 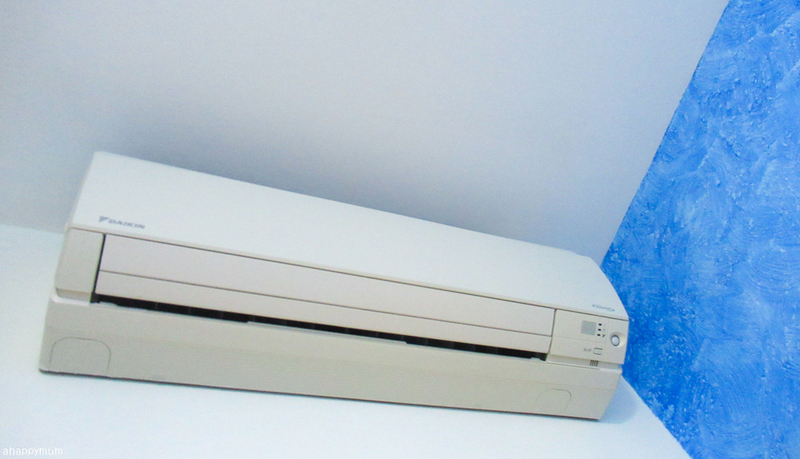 From a luxury, having aircon has become nearly a necessity and is not as costly as before. Now, we have an aircon unit in every room of our home and even though I still don't use mine and prefer to sleep with just our ceiling fan, I have to admit that my girls sleep with the aircon switched on every night. Why? Firstly, there is limited space in their 8sqm pink bedroom and due to the fact that we have a bunk bed set up, it is impossible to install a ceiling fan without risking the girls getting injured. A standing fan might not have done the job too since we have one kid sleeping on each level and the room gets pretty stuffy at times. Secondly, my firstborn was born right in the middle of winter in Scandinavia and she prefers being in a cool environment. That means since we moved into A Happy Home, they have pretty much slept in an air-conditioned room every night - well, except for those nights when Papa is away and they decide to gatecrash my room. That said, I have to say that we are not so diligent when it comes to getting our aircons serviced regularly, which is probably a mistake on hindsight. 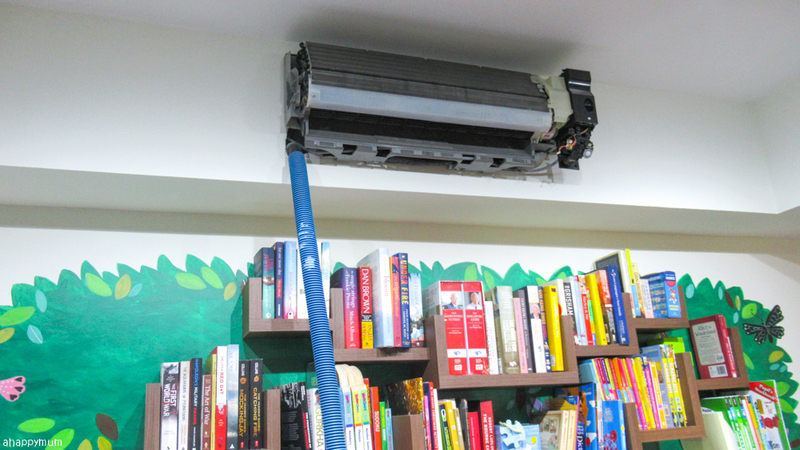 In recent months, we've realised that the aircon unit in our study area was starting to drip water whenever it was turned on. 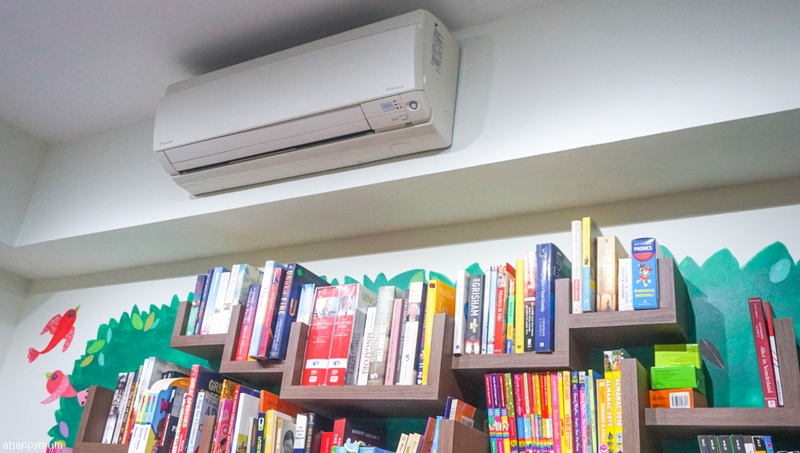 Subsequently, the aircon unit in the girls' room stopped emitting cold air and the room felt warm, despite how I tried to fidget and play around with the remote control settings (do you do that too?). Little did I realise that by making our aircon units work harder since they were not running smoothly, it was causing our electricity bills to rise. Yikes! 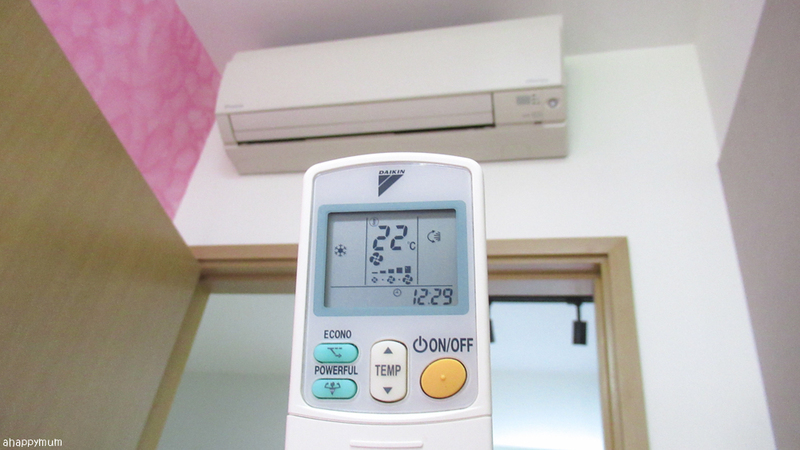 Thus, I was so glad when we did the long overdue task and serviced all the aircon units in our home last month. It was a huge relief for me seeing that all the units could finally operate smoothly, thanks to 25 Degrees. We even did a chemical wash for the aircon unit in the girls' room - you won't believe all the filth that was removed - and now, I don't even need to set it at a low temperature or increase the fan speed in order for the room to feel cool. Phew. 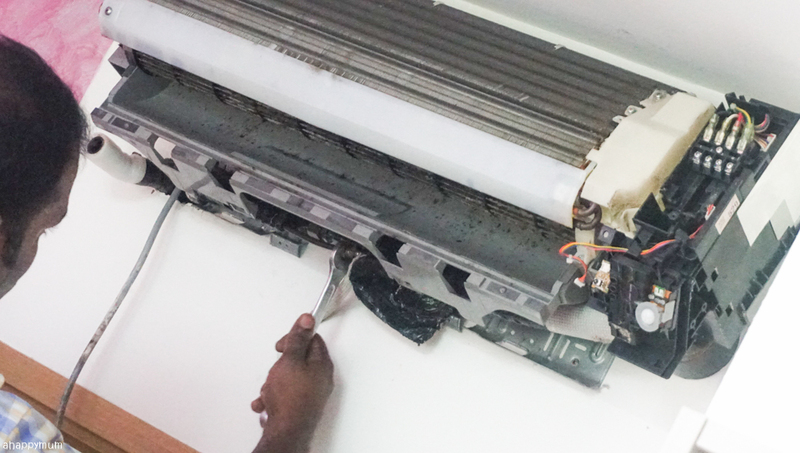 In this post, I will be sharing with you more about the experience we had with 25 Degrees and for those who are keen, I will be running a giveaway where not one, not two but FIVE of you will get all your aircon units serviced and even receive a chemical wash too! Don't worry if you have no idea what it is, I didn't too but boy does it work wonders. Read on for more details. The first question I asked when the aircon experts from 25 Degrees arrived in my home was "How often should aircon servicing be done?" The reply was "Optimally, once every three months." Wow, no wonder our aircons were clogged, leaking and malfunctioning - we haven't done any servicing in two long years! I have to admit that I don't climb up high to clean our aircon units myself, not the exterior and not to mention the interior. With the hubby being away often, I kind of assumed that this is a man's job and with so many other things to clean in the house already, this is one of those that I don't do anything about. After all, we don't turn on most of the aircon units often and the dirt trapped inside can't be that much, right? Well, I was wrong. 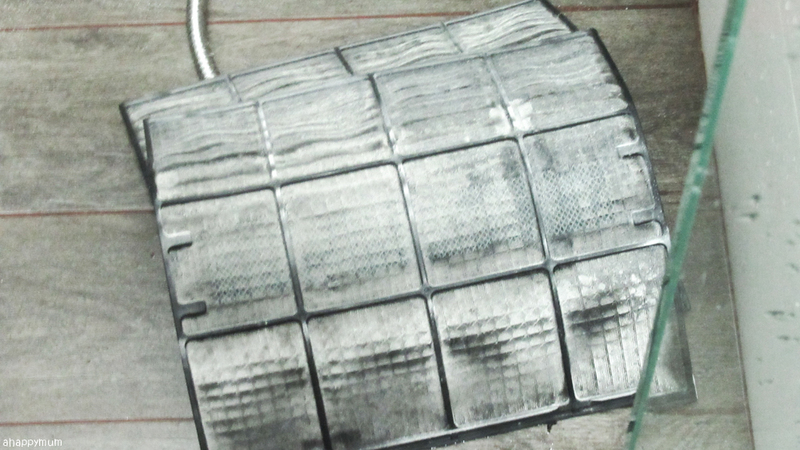 Just take a look at the filters of the aircon units in our home which are NOT turned on regularly. What looked seemingly clean and nice on the outside turned out to be a perfect place for dust to accumulate on the inside. These were the filters from the aircon in our master bedroom. Yup, didn't I just say we sleep under the fan and the aircon is only occasionally switched for a short while on to cool the room? 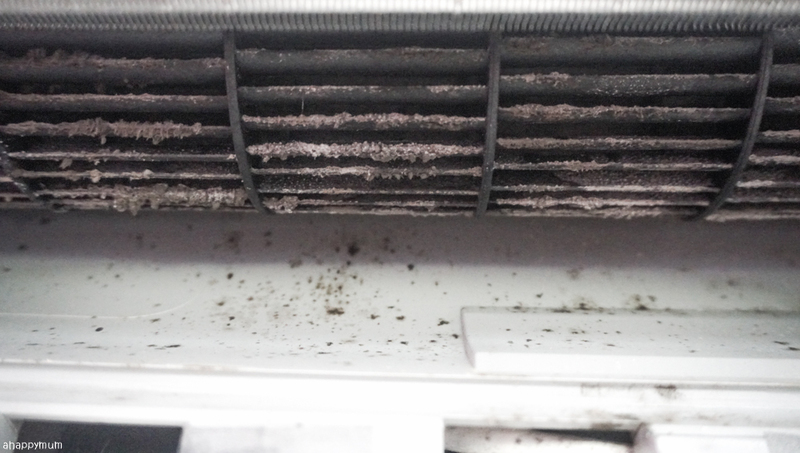 I guess that didn't stop the fact that dust and dirt would continue to enter the aircon units and eventually lead to blockage of the air flow. 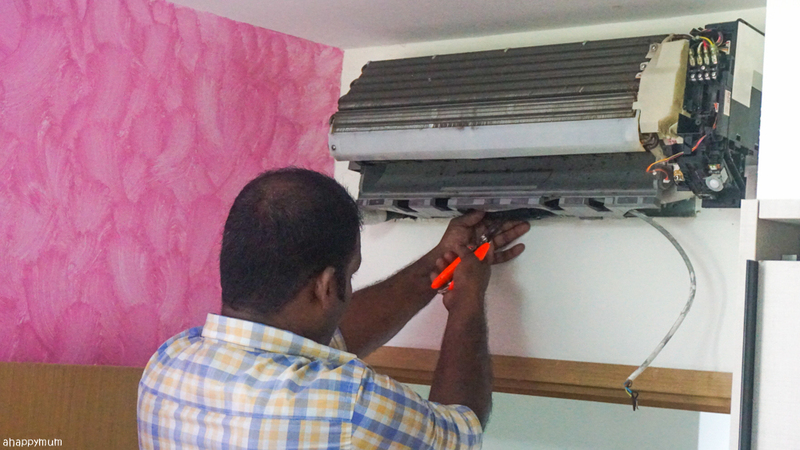 Our aircon technician from 25 Degrees was Senthil, who boasts over 15 years of experience in the aircon servicing industry. 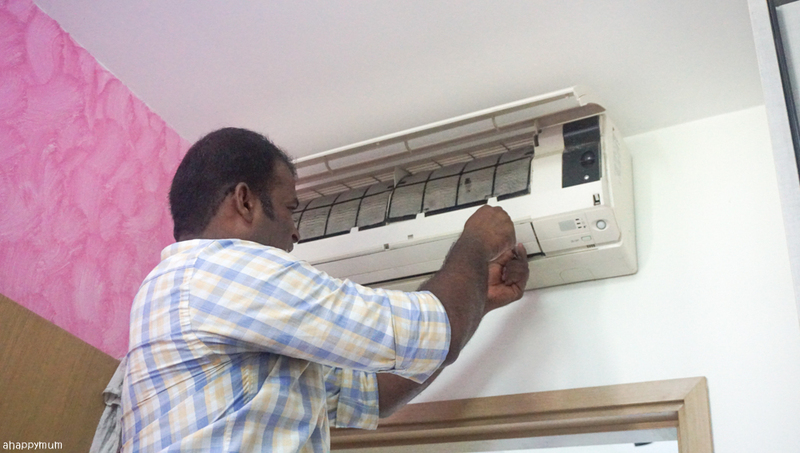 I was impressed not just by his friendliness and good command of English, but more by his meticulous nature and how he took the time and effort to thoroughly clean every single aircon unit in our home. It took over two and an half hours - the chemical wash already took up one hour - but I would rather that we spent adequate time to let these guys do a proper servicing job than to rush through it haphazardly. I've never seen an aircon servicing job being done in front of my eyes so this was something new for me. It was amazing how he could swiftly find all the screws - which we didn't even know existed - on the aircon units and remove the outer cover within a couple of minutes. 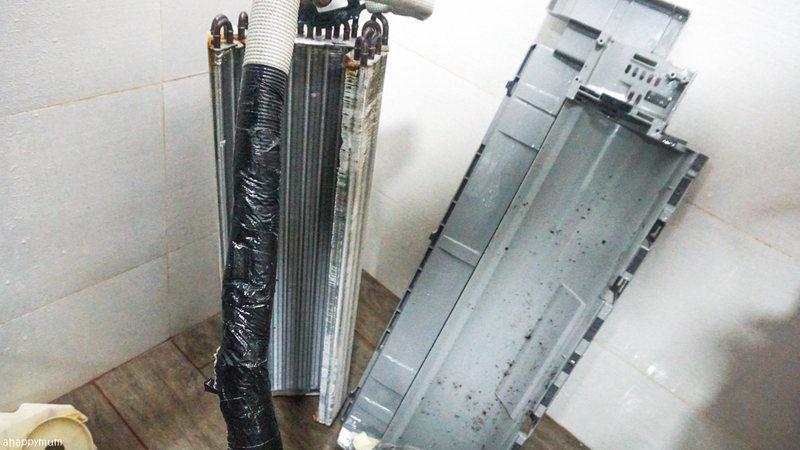 This was followed by using a vacuum cleaner to clean the surface of the parts and the drainage pipe, which can contain gel-like substances due to the build up of mold, algae and dirt coming in contact with the drainage water. A clogged pipe is one of the common reasons to a leaking aircon and it turned out that our leaking problem was easily solved after this inspection and servicing was done. 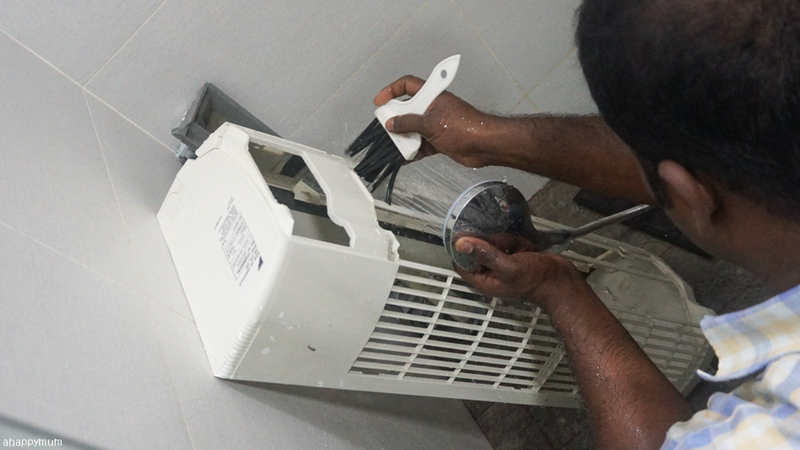 While the vacuuming was being done, Senthil also took the aircon cover for a wash in the bathroom and used a brush to help to get rid of the trapped dirt too. Before he assembled everything back, he used a cloth to make sure that all the parts were wiped dry first. Each unit took him about 20 minutes to complete and I have to say that he maintained his professionalism from the first to the last. 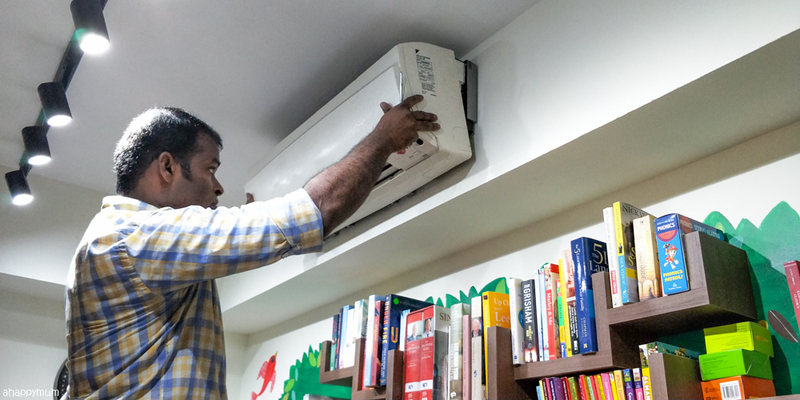 He also turned on each of the aircon units after they were done just to make sure that the air was flowing smoothly and everything was in good order. Now, let's move on to the more interesting, and amazing, part - the chemical wash! Firstly, I have to tell you that I used to set the aircon temperature in the girls' room at 25 degree celsius when we first moved in. The fan speed was set at low because it sufficed to make their cosy room feel cool and comfortable to sleep in. Everything went well for some time but gradually, they would come out of the room after a while during bedtime to complain about the room being stuffy and hot. And what did I do? Well, I kept adjusting the temperature lower and increased the fan speed to the maximum too. That is just common sense, right? Or so I thought. I couldn't really believe my eyes when Senthil opened up the cover and I saw at once just how utterly filthy the unit was. 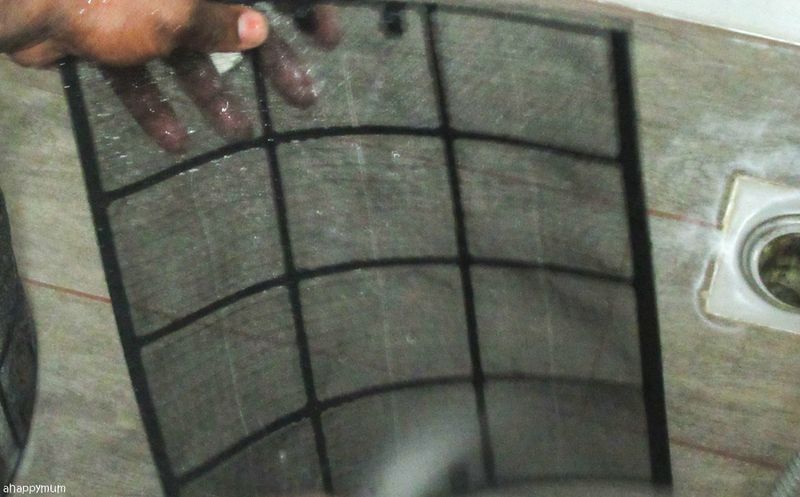 I mean, the filters, cooling coil and fan were totally choked with dirt and dust. No wonder the air was not flowing smoothly, not to mention the bad quality of air that we were getting. With the fan blocked and not working effectively, air ventilation in the room was greatly reduced too. Just see for yourself how much dirt we had inside. So when I first heard that they were going to perform a chemical wash, I thought it would be involve the technician climbing up with some chemical solution to clean the aircon interior, wipe the different parts, get rid of the impurities and that was it. Well, he did climb up the ladder but guess what? He brought down the entire aircon unit with him. I am serious. 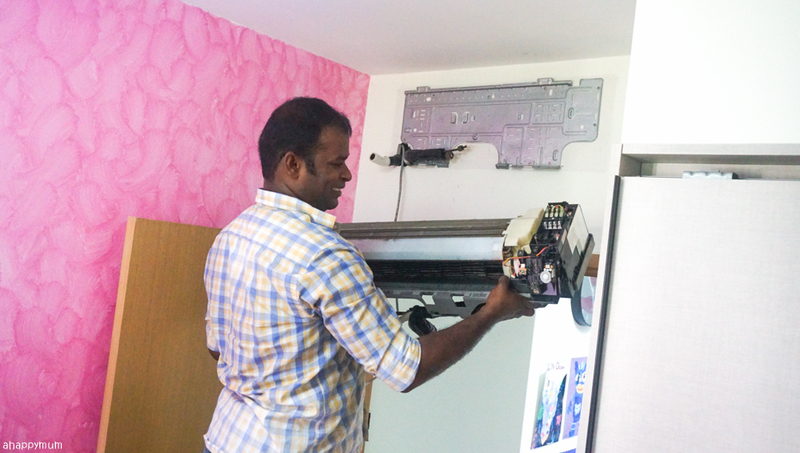 Senthil had to climb out of my window ledge to get to the aircon compressor to turn off the gas supply, then use pliers to cut some tubes and a spanner to turn the bolts and he really took down the whole aircon unit. Wow, that was something new to see. 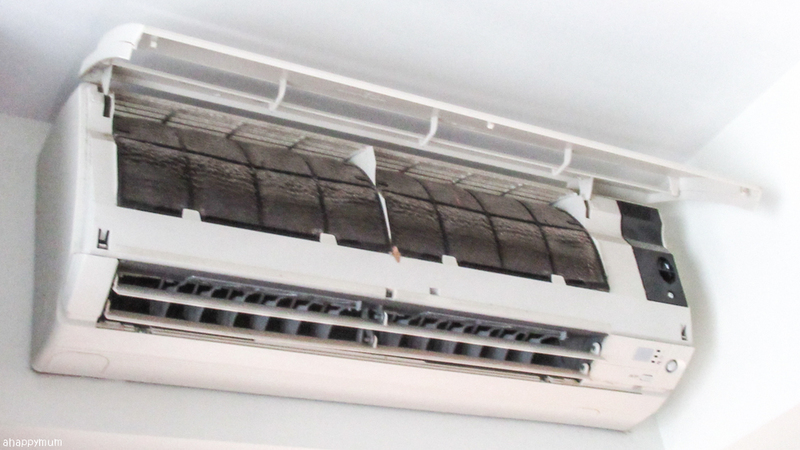 According to CY, the founder of 25 Degrees, some companies that offer a chemical wash would only wash one side of the aircon coil so that it all looks nice and clean from the front. However, if you were to check the back of the coil, a lot of dirt would still be trapped behind. So what 25 Degrees guarantees to do is to ensure that both front and back are thoroughly cleaned, which is also why a chemical wash typically takes time. 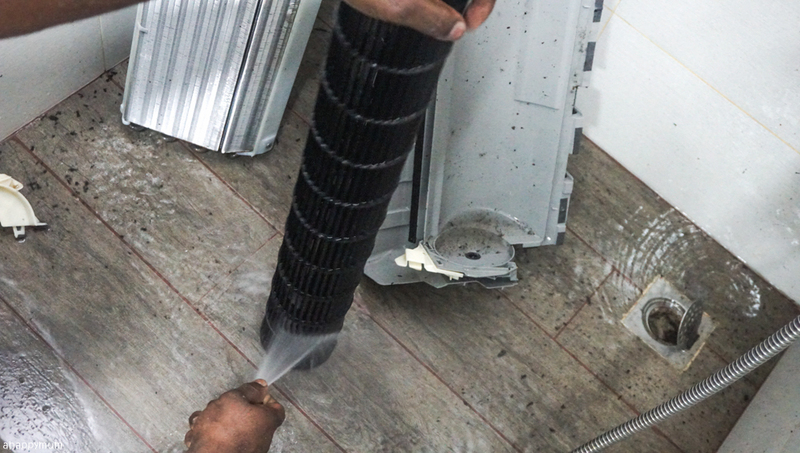 Once the parts were dissembled and taken to the washing area, Senthil used a chemical solution to spray onto them and it practically worked magic! Previously, the coil (in the above picture) was all black, dirty and dusty and after a few sprays and quick wash, it regained its shiny, clean, bright metallic look. As for the fan, this was washed with the chemical solution too and you can see how much filth came out with the water. Eeewww, right? 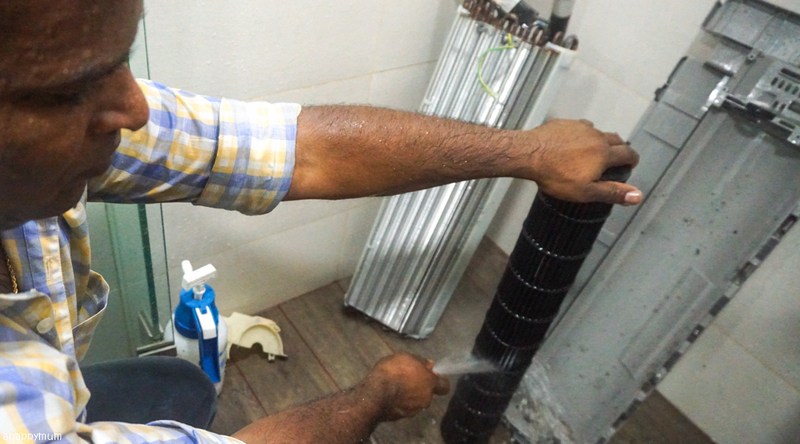 By the way, Senthil was all sweaty and wet from all the washing and hard work at this time, but he continued with his job silently and diligently, even complying to my requests to hold the parts still so I could take some photos. Thumbs up for his attitude! Well, I would definitely like to have him back again when we need to carry out the next round of servicing. As for the assembly part, not to worry because everything would be restored for you just the way it was. Except that you now have a much cleaner aircon unit which looks and works as good as new. We tried it out once the unit was put together and it took just a few minutes for the air in the room to feel cool - and I didn't even need to set it at a low temperate. Gosh, why did I wait so long to do this and foolishly paid more electricity bills while reducing the lifespan of our aircon? Guess who are the happiest now that their room feels cool once again? Well, these two, of course. They've been playing pretend in their rooms more often and no longer come out at night to complain about feeling hot, which is of course a good thing for us as parents. My wish is that they can have a good night's sleep and be able to rest well every night, now that they have to wake up so early to go to school. It seems like that wish has come true for now, thanks to 25 Degrees. 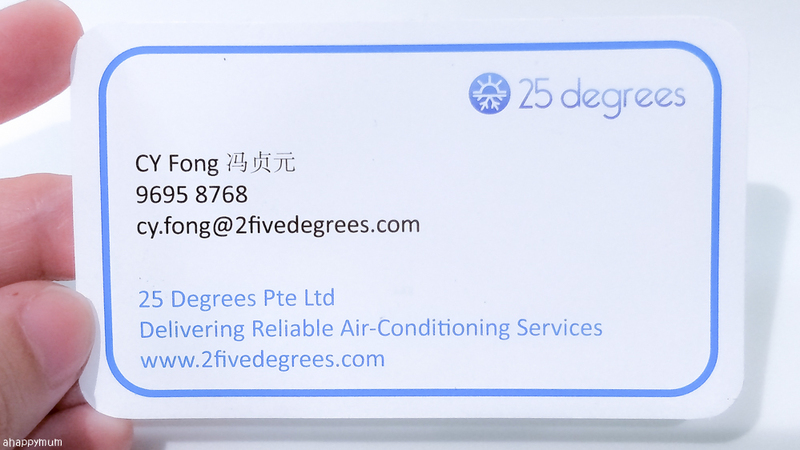 For those of you who are in need of aircon servicing and are looking for reliable technicians, I will definitely recommend 25 Degrees and in fact, we will stick with them for all our aircon needs in future. For all A Happy Mum readers, quote 'Summer25' to receive 20% off their servicing package. Win a one-time servicing for all aircon units in your house and a chemical wash for one aircon unit (each package is worth $300)! Thanks to the generosity of 25 Degrees, I will be choosing FIVE winners in total, so hurry and join in now. THREE winners will be picked from Instagram and TWO winners from Facebook. You can join both contests but note that each household is allowed to win at most once only. 1) Leave a blog comment in this post to qualify. State your name, email address and FB name for verification. 2) Like A Happy Mum and 25 Degrees Aircon on Facebook. 3) Like my post and leave a FB comment on why you want to win and tag at least three friends. 4) For a bonus chance to win, share the post on FB with your family and friends. 1) Leave a blog comment in this post to qualify. State your name, email address and IG handle for verification. 2) Follow @ahappymum and @25degreesaircon on IG. 3) Like my post on IG and tag your friends, one per comment. The more you tag, the higher your chances of winning. 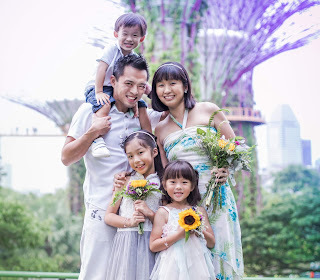 4) For 5 bonus entries, repost my post,tagging me and #ahappymumgiveaway. It is mandatory to complete steps 1-3 to qualify for each of the contests. You can choose to join either of the giveaways or BOTH to double your chances of winning. The giveaway ends on 21 Apr 2359hrs. The winners will be chosen and contacted via DM, they will have to reply within 48 hours or new winners will be picked. This giveaway is open to all readers residing in Singapore and aged 18 and above. It is in no means endorsed, administered or affiliated with Facebook or Instagram. Best of luck, people! Disclosure: This is a sponsored post in collaboration with 25 Degrees Pte Ltd. All photographs and opinions are my own. we need to have cool air under such humid weather.. stay cool and keeping the aircon in tip top condition is a must..
Weathering humid weather in SG, it’s always nice to have the airconditioner on. 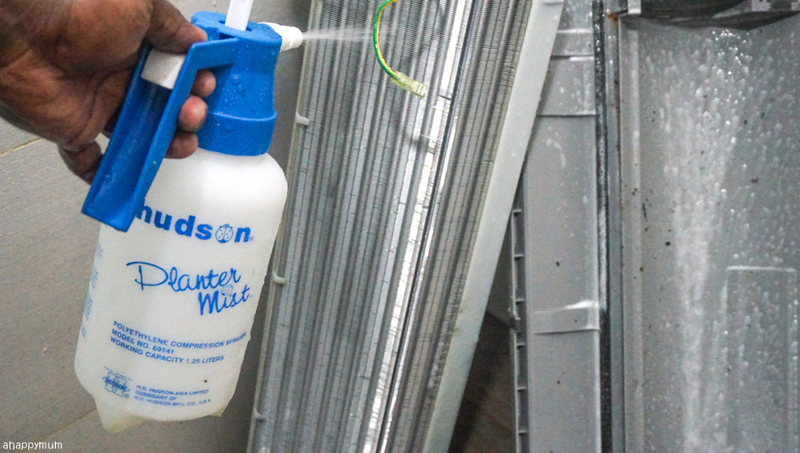 However, I also ubderstand that if the units are not regularly maintained, dust, mites and other impurities will clog the system and we will be breathing in these. Yucks! A good servicing will do all of us at home some good. This would be a really cool (pun intended) giveaway to win because our air con units are in serious need of a good clean up! 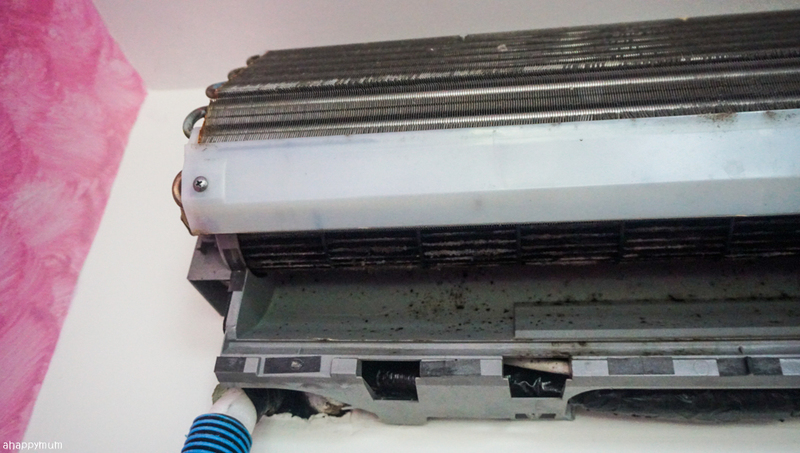 Our aircon units are overdue for cleaning. With the sweltering heat, it hard for my children to concentrate on their homework and revision in the afternoon. 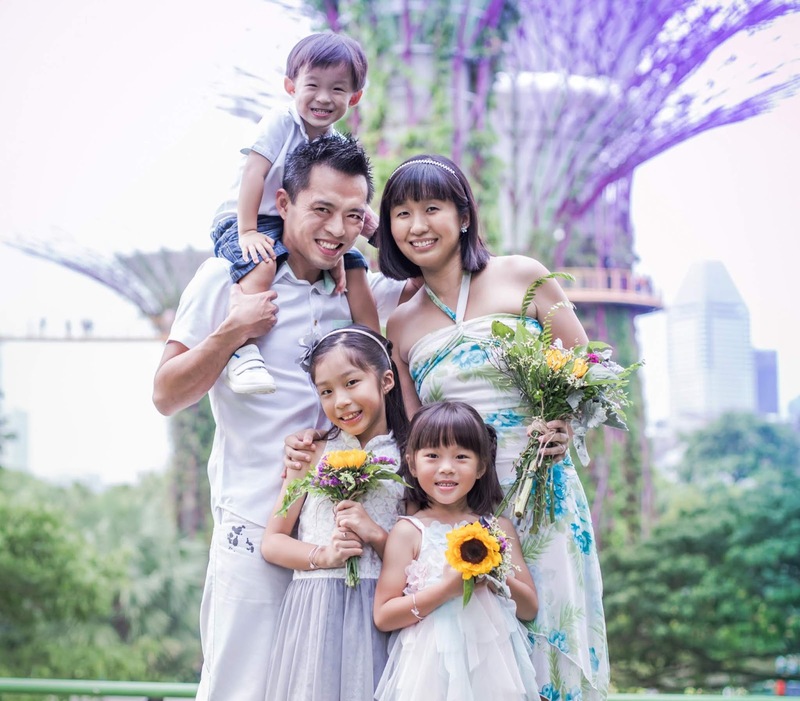 It’ll be wonderful to get our aircon units serviced and clean so that the family can enjoy a cooler environment and focus better on the tasks we need to do. This giveaway is so timely! Hope to win it so that the aircon units will stop dripping water and my babies can get good sleep at night. My current service provider is always rescheduling our appointment each time we called up. We have no choice cos we are tied down by the contract. Hopefully can win this so that I can get a try on a new contractor. 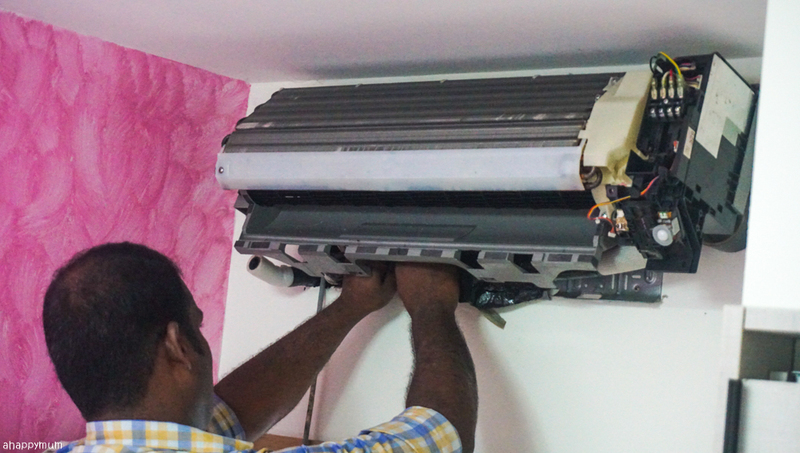 Our aircons are super overdue for servicing. Thank you for hosting this wonderful giveaway! $300 each time, and once every 3 months is costly for us since I have no income (SAHM). Winning this will help to save cost. I thought he was doing the chemical wash in the picture with the blue, didn't know that was just normal servicing. Very unlike what I have encounter before, this is so thorough! I don’t remember having a chemical wash for my air con units!! It’s time to clean them up:) Thank you for all these useful information and tips! I want to win because I want to keep the environment clean while I enjoy the coolness, so it seems like the servicing and chemical wash is an important part of maintaining our beloved aircon! My place is still building HDB flats, definitely in need to service my aircon units because my house on it every night! Wow! Your aircon WAS very black.. haha!! But 25 Degrees must have clean it well! I love to win this because I am worried about my family health from dirty air conditioning units which could spread diseases! I have not done aircon servicing and cleaning before! Would love to try their service.